Pesticide toxicity is a complex issue, with new debates emerging regularly. While lists of pesticides toxic to honey bees may help beekeepers and growers of pollination reliant crops to identify and manage the risks of pesticide application and honey bee poisoning, the following information is also critical to consider. One of the most common causes of bee poisoning is spray drift. This is where a pesticide has been applied to a crop that is not in flower but has drifted onto flowers of other plant species. This problem can often be eliminated by mowing underneath the canopy of horticultural crops before spraying. It is much more difficult with flowering weeds growing amongst a crop. In this case, only non-bee-toxic chemicals should be used. Always read and follow the product label directions, including any restrictions. Many labels now detail weather conditions, droplet size, and equipment and spray drift restraints and/or mandatory no-spray zones to help users manage drift. Before you start, check that the weather conditions are suitable for spraying (ie wind speeds between 3–15 km/h, blowing away from sensitive crops/areas, Delta T between two and eight, temperature below 28oC, no inversion layer present). If the weather is unstable or unpredictable, don’t spray. Continue to monitor weather conditions while spraying and stop spraying if it turns unfavourable. Discuss your spray plans with neighbouring properties, particularly if you plan to spray near a sensitive crop or area. This provides neighbours with the opportunity to implement protective measures on their property and can help avoid complaints later on. Check for susceptible plants, animals and areas (eg streams, bee hives) close to the target area and put strategies in place to protect them from drift (eg use a buffer zone or leave an unsprayed buffer next to a susceptible crop). Ensure your equipment is set up and calibrated correctly. Use a nozzle or sprayer setting that produces the largest possible droplet size (coarsest spray quality) to reduce the risk of drift without compromising the efficacy of the chemical. Choose a chemical formulation that is less likely to drift off-target. For example, use amine formulations of 2,4-D instead of 2,4-D high volatile esters which are more prone to drift as vapour during or after application. 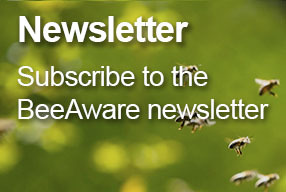 It had been assumed that most fungicides are not toxic to adult honey bees. Although this is probably correct, a recent study has demonstrated that the pollen collected by bees from flowers sprayed with fungicides becomes contaminated with fungicides. Some of these fungicides are toxic to honey bee larvae when fed at the same concentration. The effect of fungicides on honey bee larvae has not been extensively researched, so that a complete list of fungicides that are likely to be toxic to larvae is not reported. Also, fungicide warning labels do not normally include warnings about honey bee larvae. It is therefore good practice not to apply fungicides to flowers unless it is essential for disease control. If the safety of the fungicide to honey bee larvae is not known, the issue should be discussed with the beekeeper before it is applied to flowers. Some fungicides can also affect pollination by affecting the ability of the pollen grain to germinate on the stigma, which may adversely affect pollination. Unfortunately, there have been few investigations on how frequently this will be a problem. Where possible, avoid spraying fungicides onto flowers. Surfactants are used to improve the effectiveness of chemicals, to decrease the droplet size or to increase the penetration of chemicals on a plant or insect. Some surfactants used with insecticide and fungicide sprays are toxic to bees. When water is sprayed onto bees it usually forms discrete droplets on the surface and does not damage the bees. However, surfactants allow the water to penetrate the body hairs, which will kill bees. Unfortunately, the toxicity of most surfactants has not been tested and they do not carry bee warning labels. Unless it has been demonstrated that a surfactant will not kill bees, it should not be applied to bees even if the pesticide with which it is mixed is non-toxic to bees. Don’t spray surfactants onto honey bees unless they have been shown to be bee-safe. Water itself can be a problem if it is cold or if it is applied at high pressure or high volume. The effect is similar to when surfactants are used. To avoid killing bees and adversely affecting pollination, it is good practice to avoid applying even bee-safe chemicals while bees are visiting the crop. 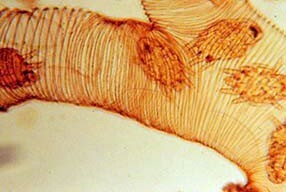 Care should also be taken to avoid applying sprays directly onto beehives. 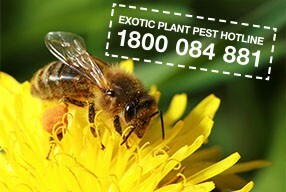 Do not apply sprays or water directly on bees or beehives. 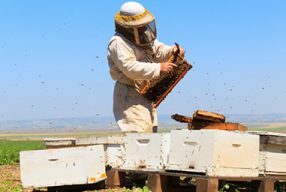 Another risk for beekeepers and farmers to be aware of, is the risk associated with combining two or more pesticides together, which although ‘bee-safe’ in their own right, may be harmful to bees when mixed with other chemicals. 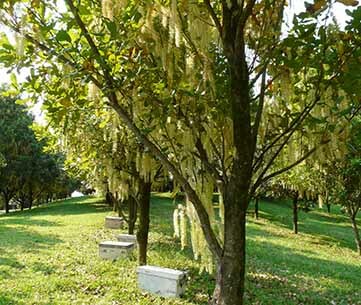 Applying one or more chemical products together is a common practice in some horticultural situations (eg applying a fungicide with an insecticide in orchards). Honey bees use an enzyme called P450 to detoxify chemicals, and if this enzyme is being used to detoxify one chemical, it may not be available to detoxify the other, resulting in poisoning. 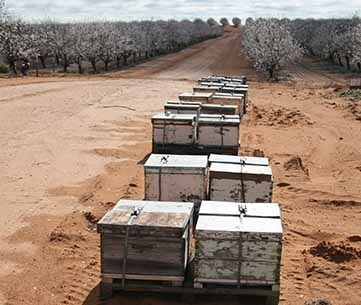 It is difficult for beekeepers and farmers to ascertain which products will pose a threat when applied together. The simple ‘jar test’ practiced by many farmers, only provides an indication of whether or not the combination of chemicals can be applied without solidifying and damaging equipment. It does not provide any indication of the effect that the mixture will have in terms of its efficacy or its impact on bees. In the absence of expert advice, the most responsible approach is for beekeepers and farmers to assume that chemical combinations are toxic, and to avoid this practice in situations where honeybees may be affected. 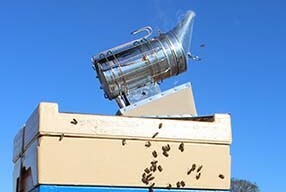 Alternatively, beekeepers should consider relocating their hives to avoid the risk.